I must admit that until recently I was rather dreading the prospect of this flood of GB issues marking the Olympic Games. 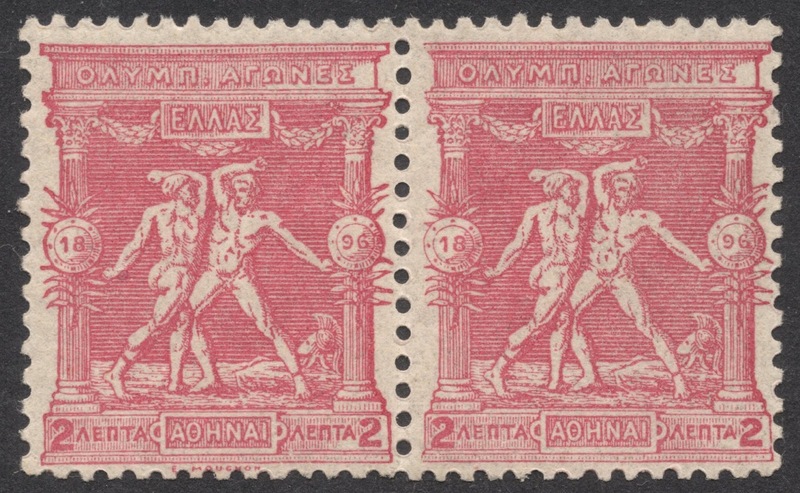 In despair I sometimes found solace in the one and only Olympic series I really liked: the 1896 set from Athens, the first set to mark the modern Games. Note that the right-hand stamp does not have the designer's name at the bottom! A great set on its own and with loads of possibilities to collect covers as well. But you do need a wallet filled to the brim, if you want to get anywhere, which is probably why I never went beyond the one item which you can see here. Anyways, back to 2012. The months of hyped-up frenzy and the pre-Games stamp issues did not much to alter my feelings of dread, I'm afraid. But things started to change when Royal Mail issued their Olympic definitives at the beginning of this year. I actually liked them. A lot! Although very much a fan of Machins, I was almost disappointed that the Olympic definitives were so soon replaced with the Golden Jubilee definitives. 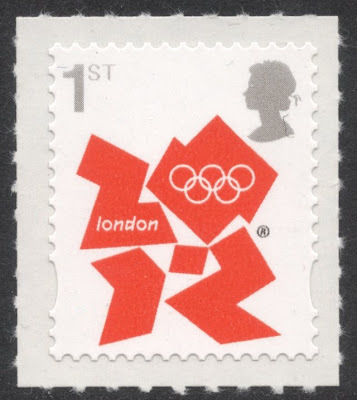 Then the Games began and although the start was postponed a bit, before we knew it, Royal Mail was going all out, as promised, with their Gold Medal Stamps. And they've proved to be a big hit! The whole country seems to be on the look-out for them! Queues in post offices, special counters being opened, just like in the old days when special issues were few and far between. 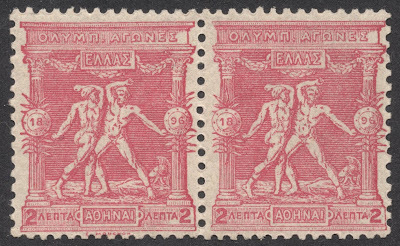 And the possibilities for a varied collection are just as great as they were in 1896, only a lot cheaper. First of all there's the challenge of trying to get all the different Gold Medal Stamps. Then, what about collecting them from the various printers that were employed?! We're already starting to see differences between all those printings. I bet you'll be busy for quite a while if you want to track down all the different sheets that are around. but then, that's the fun of collecting. And it must be said that Royal Mail has done a great job in bringing the stamps to the general public. Us collectors are used to all this but the huge amount of high-profile national coverage, in papers and on mainstream television, means that everybody knows about the stamps, even the athletes themselves! The whole Gold Medal Stamp thing is made even more public and fun through Royal Mail's Gold Postbox campaign, which is receiving just as much publicity as the stamps are. A perfect way to promote everything to do with our great hobby. 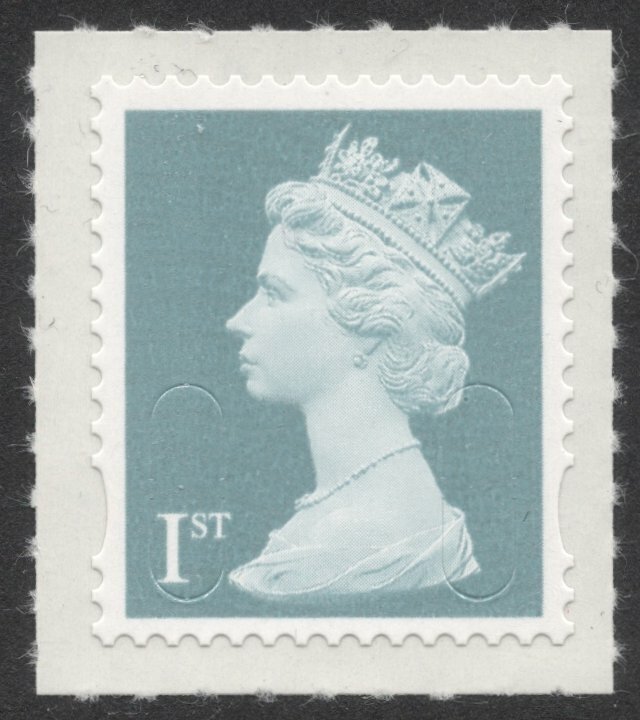 All in all, many people have had a glimpse of the fantastic world of stamp collecting. No more images of stuffy, tweed-clad old chums, sitting in dimly-lit rooms, looking at grubby old bits of paper through their thumb-marked magnifying glasses. No, stamp collecting is fun, modern, part of our everyday world. And that's great. 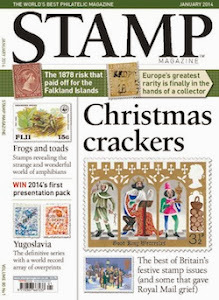 So, if you happen to be one of those who are newly introduced to this great phenomenon of stamps: do stay with us for we are having this much fun all year round! PS: Next Friday we'll be taking a look at Cycling on Stamps. So do tune in again next week.